8 years since the release of their fifth full-length studio album ‘We Were Dead Before The Ship Even Sank’, alternative-rock band Modest Mouse offer up their latest studio album ‘Strangers To Ourselves’. The new album sees Modest Mouse offering up more of their clever lyricism and enjoyable instrumentals that make up the core strengths of their music. With there being such a long gap since ‘Strangers To Ourselves’ and its predecessors, there’s perhaps a risk that Modest Mouse will fail to please absolutely everyone, though there’s a wonderful energy and great selection of tracks on ‘Strangers To Ourselves’ that helps make it a very strong release. There’s a great energy to ‘Strangers To Ourselves’, which seems to come across as one of Modest Mouse’s more stronger album experience. For their latest effort, Modest Mouse offer up more of what makes their music great, utilizing Isaac Brock’s introspective and thoughtful lyric style to accompanying catchy and easily accessible alternative-rock styled music. There’s some brilliant tracks present on ‘Strangers To Ourselves’, many of which stand out as brilliantly as some of Modest Mouse’s most revered tracks, and many of which become instantly memorable following on from their first listen. Whilst ‘Strangers To Ourselves’ sports many strengths, it isn’t without its occasional weaknesses. As with each Modest Mouse album, there’s a rather long track-listing, which would be fine were it not for the occasional track that doesn’t seem to add much to the overall album experience. Whilst some tracks are instantly memorable, others become instantly forgettable, not really adding much and instead bloating the album experience itself. A little trimming here and there of a few weak songs would greatly benefit the album, elevating it’s position from a good strong Modest Mouse album to a brilliantly strong album. Even though the odd song here and there could do with being cut entirely off the album, there’s enough being presented by Modest Mouse that is arguably them at their best. There’s some incredibly enjoyable tracks on the album, featuring both great instrumentation and great lyrics. It seems after such a long wait, Modest Mouse remarkably haven’t lost their steam and at all, as proven by the great strengths present on some of the tracks on ‘Strangers To Ourselves’. 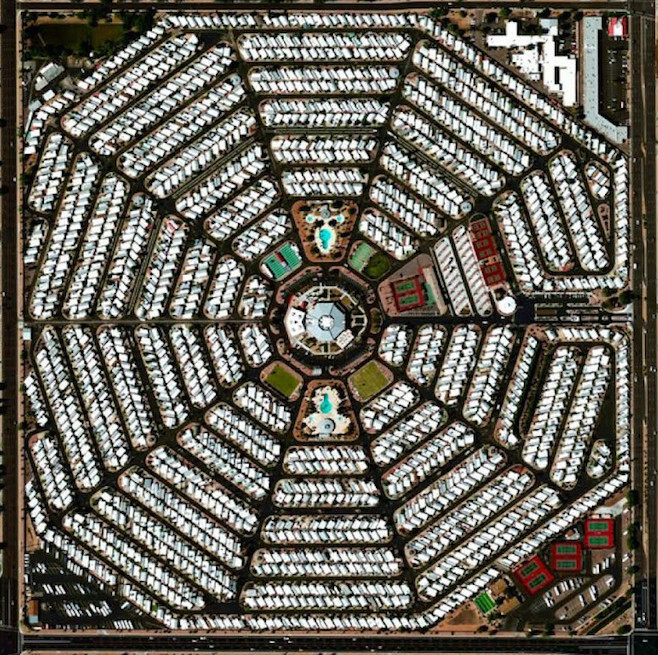 Modest Mouse’s latest album is a great return to form, coming across as one of the band’s strongest album releases thus far. Modest Mouse’s sixth studio album ‘Strangers To Ourselves’ is out now. Eluvium’s Matthew Cooper and Explosions In The Sky’s Mark T. Smith team up one again under the title of Inventions for the release of their sophomore effort ‘Maze Of Woods’. The new album sees the two collaborative artists building up on the groundwork previously established on their self-titled 2014 debut effort. ‘Maze Of Woods’ offers up another album experience branching off from both artists respective beginnings, though also incorporating many new and exciting elements, creating a sonic landscape of beauty and mystery that will certainly please and amaze fans of this exciting project. On ‘Maze Of Woods’, we see Cooper and Smith presenting more material first presented on their debut effort. Whilst elements of ambient and post-rock dominate the record, we see more elements and techniques working their way into the mix, showcasing a real drive to create something that is interesting and different. There’s a few elements of uncertainty present on ‘Maze Of Woods’, sometimes feeling a little worrying and mysterious, though this opens up into gorgeous musical landscapes where each and every element, every tone and note, all come into play to present some of the most beautiful music currently being produced. ‘Maze Of Woods’ has a lot going for it, a record that is equally as ambitious and rewarding as its predecessor, though there’s a few elements that are a little more jarring than one would expect. The album opens up with the electronic-driven ‘Escapers’, one that features more similarities to Cooper’s work under the moniker of Martin Eden than his work as Eluvium. The track shows Cooper and Smith exploring different musical territories, driving forth a message that establishes the album, though it also suggests elements we might expect of the album that won’t ever arrive. It arguably works in some senses, though there’s a jarring element that might alarm some unsuspecting listeners. It’s arguable that ‘Maze Of Woods’ is perhaps not as strong as Cooper and Smith’s debut effort, though it is an effort that expands upon the landscapes they’ve conjured up over the past few months. 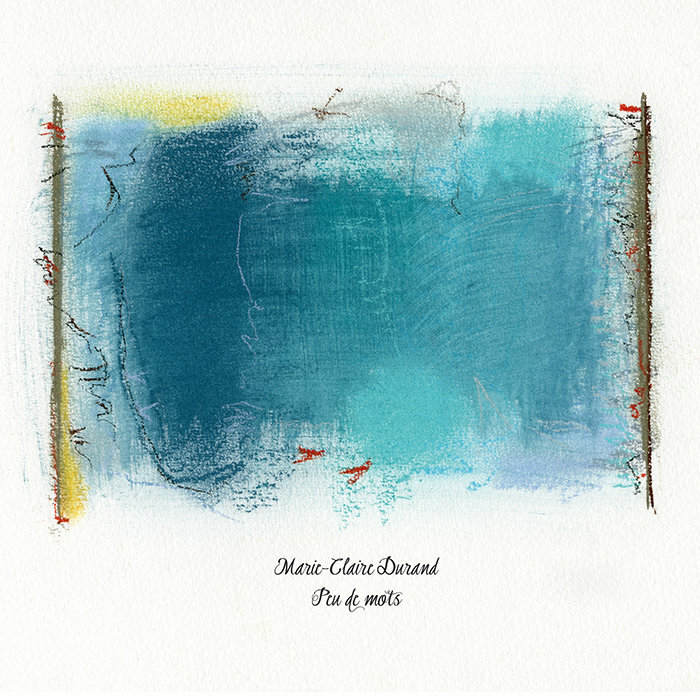 This second album under their collaborative title offers new insight and new emotions, highlighting the incredible strengths these two composers have. There’s extraordinary amounts of beauty that Cooper and Smith effortlessly pull us into, dropping us into a world where sounds intertwine beautifully to great extents. Those who were so taken by the groups debut effort will find ‘Maze Of Woods’ to be a more than satisfactory successor. 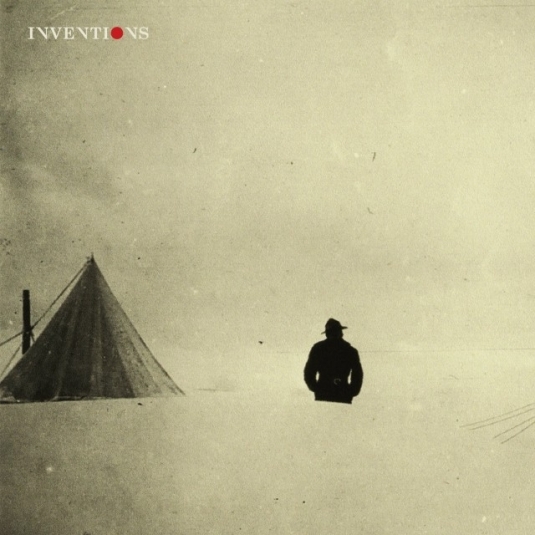 Invention’s second album ‘Maze Of Woods’ is out now. Over the years Eric Chenaux’s albums have bordered lands where unusual experimental elements intertwine into beautiful sonic layers of singer-songwriter structures. Chenaux’s latest effort ‘Skullsplitter’ continues along the same groundwork established on his 2012 album ‘Guitar & Voice’, which saw Chenaux reworking a few tracks from his earlier releases, as well as offering some new compositions, and a cover of ‘My Romance’. ‘Skullsplitter’ gently soars though with beautiful idiosyncratic melodies, highlighting the incredible talent of Chenaux in offering music that is different, though ultimately beautiful. ‘Skullsplitter’ follows much of the same format as Chenaux’s previous release ‘Guitar & Voice’, featuring Chenaux in a solo position on his album, working his magic intertwining unusual musical structures with his own vocal style. Chenaux offers up re-interpretations of some of his earlier works, as well as some new compositions, all of which work together to form the experience that is ‘Skullsplitter’. Underneath the layers of semi-improvisation and experimental technique is a core of beauty that drives the album forward, making it a gorgeous and rewarding album experience that truly cements Chenaux’s wonderful and unique style of music. Chenaux’s very unique style is one that is perhaps a little difficult to swallow at times. The semi-improvisational techniques, combined with unusual experimentation results in oddly structured music, unlike music we know and are familiar with. Those who are unfamiliar with Chenaux’s work might find it somewhat inaccessible and perhaps shy away from what Chenaux is aiming to push out. Those who are fans of Chenaux, or even open to this style of experimentation will find ‘Skullsplitter’ to be a work of unfathomable beauty, and perhaps one of Chenaux best albums to date. ‘Skullsplitter’ is perhaps a little odd at times in terms of format and structure, though it’s through these unusual techniques we see Chenaux really pulling out all the stops, building up music that is nothing short of gorgeous. Everything Chenaux worked into ‘Guitar & Voice’ has traveled along into his latest release, cementing a new style of Chenaux’s that places him firmly in the foreground, showcasing every ounce of talent in tremendous amounts. Chenaux seems to be establishing a wonderful style of music on his latest releases, one that builds up much more than his earlier works for Constellation Records. Perhaps this is a continuing style we’ll be honored with once again in the future. One certainly hopes so. Eric Chenaux’s latest album ‘Skullsplitter’ is out now, available through Constellation Records. 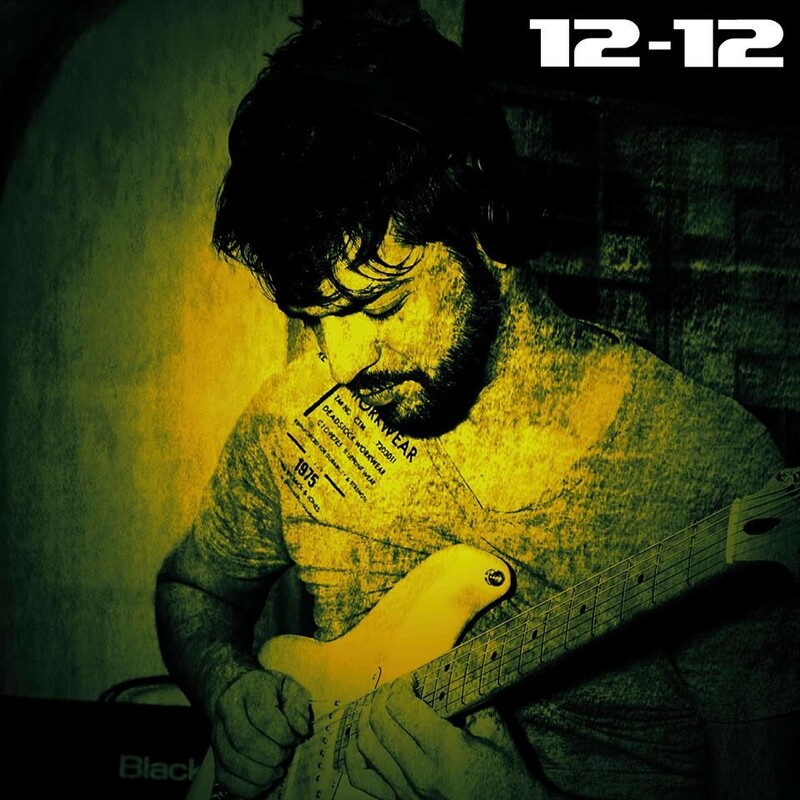 Musician Stefano Licio offers up his debut album effort ’12-12′, showcasing his rock styling across a mostly enjoyable range of tracks. ’12-12′ sees Licio showcasing his own style of rock music, utilizing his own talents as a performer and a composer to push out an enjoyable and mostly accessible album experience. Much of Licio’s style offers up rock elements in a wholly instrumental fashion, arguably bordering on elements of post-rock, though stemmed in much more traditional formats of rock music. Licio demonstrates strong talent on his debut effort though the album itself seems to become a rather repetitive experiences it progresses along. For his debut effort, Licio showcases everything he has going for himself, pushing out every creative talent he can muster in the form of instrumental rock music. Strong appealing elements come from Licio’s strong performances, weaving together guitar lines and solos with incredible and natural ease. There’s a nice energy to most of the tracks being presented on the album, most of which showcase the strong creative talent which Licio posses. When the album works, it demonstrates strong qualities of great showmanship, where indulgence of creative talent can flourish in the form of music. Although there’s a lot of merit to Licio’s natural talent, though it seems to have been presented in a very limited way on his debut effort. There’s enjoyable elements to a few of the tracks on ’12-12′ but many seem to be dominated by similar formats and techniques, not really demonstrating much ingenuity within the genre. A repetitive quality seems to dominate the album after some time, resulting in much of the album experience being a rather dull and very limited. There are enjoyable elements present on the album, but it seems as though Licio is too limited in what he can present. A few tracks demonstrate some very enjoyable techniques and good strong talent, but as an album experience, ’12-12′ is a little too thinly spread to result in something all that interesting. There’s some great talent being presented by Licio on his debut album effort, though most of it seems to be channeled in a very limited way, all pushed into similar sounding and structured tracks, where there’s been little inventive qualities or even much exploration of the genre itself. There’s some nice creative elements being presented by Licio from time to time, resulting in enjoyable instrumental rock music, though more creative elements and exploration would certainly benefit. Stefano Licio’ debut album ’12-12′ is out now. Blues band Mountain Men offer up their follow up album to their 2012 album ‘Hope’ with their third studio-album effort ‘Against The Wind’. The new album sees the band pushing forward everything they’ve got, offering up one of their most intimate and enjoyable albums thus far. ‘Against The Wind’ seems to showcase Mountain Men taking their every strength and pushing it out to the best of their abilities, offering up a true successor to their brilliant previous album effort. There’s a wonderful form and shape to ‘Against The Wind’, which offers up quintessential blues in Mountain Men’s brilliant style. On their latest effort, Mountain Men seem to push forward the heavier rock elements of their previous album, hardly repeating their earlier successes, but instead building up from what they’ve already managed to establish. Everything seems to work incredibly well on this third album effort, which is arguably Mountain Men at their best. The pure blues form of the music is presented wonderfully by band members Mr Mat and Barefoot Iano, who push everything forward with incredibly energy and passion. There’s a wonderful honesty and sense of enjoyment coming out of the music itself, making the music itself all that more enjoyable. There’s many elements to ‘Against The Wind’ that just simply work well, from the wonderful format of the genre the band present, to the way they present it on the album itself. It’s somewhat arguable that Mountain Men are pushing forward another album of the same material they’ve released before, though ‘Against The Wind’ seems to be a much stronger album effort, and one that sees them not repeating their strengths, but instead elevating it and really pushing it to much greater effect. Every enjoyable element from previous Mountain Men songs and albums seems to have been pushed out ten-fold on their latest album effort. There’s something incredibly wonderful about ‘Against The Wind’, which comes across as wonderfully honest and passionate music. Mountain Men have a brilliant and rather unique style going for them, and once again have managed to utilize their own strengths to great effect. ‘Against The Wind’ comes across as a true successor to the bands’ previous album effort, one that doesn’t overshadow their previous efforts, but sees them taking even more great strides with each release. Mountain Men have a truly wonderful style going for them, and it’s certainly wonderful to see that nothing has been lost on their latest effort, but instead gained in great amounts. Mountain Men’s third studio album ‘Against The Wind’ is out now. Swedish electronic band From Kid offer their debut album release ‘You Can Have All The Wonders’. The new album sees this electronic act offering up an enjoyable selection of synth-pop tracks, though ultimately with a little bit more going for it than what we often see within the genre. For their debut release, From Kid showcase everything they have to offer, showcasing an enjoyable style of music that is ultimately catchy and easily accessible. Most of the tracks on ‘You Can Have All The Wonders’ offer up a dreamy soundscape, where little details have been considered in order to push forward a strong album effort. Though not dominated by the genre, there’s a strong presence of synth-pop elements on ‘You Can Have All The Wonders’. From Kid seem to take varying elements from different genres, packaging them all up in a cohesive manner that brings out the best of the dominating genre. Everything feels well structured and very cohesive, with each track contributing nicely to the overall album effort. Vocal harmonies provide a lot of strength to the tracks themselves, using electronic elements here and there to bring more life out of the music itself. It’s an apparent strong effort, and one that highlights the many strengths of From Kid. Whilst there’s many strong elements to ‘You Can Have All The Wonders’, there’s a few elements which might raise a few eyebrows here or there, or even be snubbed by those expecting something else from music of this genre. There’s a good mixture of downbeat tracks, bordering on trip-hop elements on a few occasions, which might perhaps turn those away expecting a much more upbeat experience, or even vice-versa for those expecting more downbeat elements when the album indulges in upbeat and catchy music. It’s perhaps arguable that ‘You Can Have All The Wonders’ might try to juggle a bit too much, though everything pushed forward by the band feature many strong elements in their own rights. Even with everything it tries to tackle with in one go, there’s still a lot being presented by the band that makes ‘You Can Have All The Wonders’ a strong and enjoyable album effort. From Kid seem to have pushed forward a number of strong strengths from a genre that has many weaknesses. The rather downbeat nature of most of the tracks might perhaps turn heads, though there’s an equal number of strengths there than there are in the more upbeat tracks. From Kid’s debut effort is one with great promise, suggesting great things to come from this up and coming band. From Kid’s debut album ‘You Can Have All The Wonders’ is out now. Post-rock group L’Effondras offer up their debut self-titled album effort, and unrelenting and forceful album experience certain to please fans of more heavier versions of post-rock music. On their debut effort, L’Effondras go full force in their music, offering incredible dynamics between quiet instrumental passages and loud heavy moments. L’Effondras have an incredible energy to their music, one that suggests much more care and attention than the average post-rock act. At times, it’s arguable that ‘L’Effondras’ falls into the category of typical post-rock music, though the band’s sheer amount of energy and dedication elevate their music far above the average. For their debut effort, L’Effondras seem to push out everything they have going for themselves, utilizing the post-rock genre and formats to their own advantage to showcase a tremendously powerful musical experience. There’s almost an explosive quality to a few of the tracks as the music builds up effortlessly before crashing into hugely powerful instrumental sections. It’s in the bands’ unrelenting energy that we see the appeal of their branch of instrumental rock music, and the way they morph and shift everything into a cohesive vision. Everything feels very well structured and planned out, making this a strong effort that is easily accessible for fans of the genre. Whilst there’s many merits to ‘L’Effondras’, it has to be noted that the album does seem to fall into some of the traps the genre lays out for itself. At times, L’Effondras seem to indulge a little too much in cresendocore formats and techniques, which at times works well in a few of the songs, but can arguably get a little tiresome after a while. Certain techniques that show great artistic merit don’t seem to dominate the album as much as one would prefer, which instead allows loud noisy passages to take precedent in the recording. L’Effondras do make the style work well for themselves, though seeing their creativity channeled into different territories would certainly result in something incredibly interesting. Certain elements on ‘L’Effondras’ might be scoffed by certain fans of the post-rock genre, though those who are generally up for anything will find a lot to enjoy on this debut effort. Phenomenal energy and performance certainly elevates the album above the common norm within the genre, showcasing a very strong understanding of the genre and just what it takes to present the genre in a strong and enjoyable way. ‘L’Effondras’ is a strong debut album effort, one that arguably doesn’t highlight the absolute best elements of the genre it occupies, but one that does demonstrate some incredibly strong capabilities of this up and coming band. L’Effondras’ debut album ‘L’Effondras’ is out now. Singer-songwriter Ethan Jano offers up his debut album ‘I’ll Be Fine’. Taking influence from traditional country-folk artists and bands, Jano pushes out a rather impressive debut album experience, one that showcases and highlights great natural talent from this upcoming performer. ‘I’ll Be Fine’ sees Jano pushing out every ounce of talent in the form of his own song-writing, showing remarkable promise for someone so young. There’s a lot to enjoy here from Jano, though his debut album seems to fall into a few holes that the genre itself presents. ‘I’ll Be Fine’ comes across as a strong debut for the most part. Jano presents his own style of singer-songwriter music with incredible confidence and ease, making everything sound incredibly natural. Nothing feels overdone or blown out of proportion on the album, which effortlessly flows along with natural and comfortable ease. At the forefront of everything is of course Ethan Jano himself, who presents himself as a rather deep thinker about varying issues and concepts. There’s few lyrical cliches here, which is rather refreshing to hear within a genre that is so full of them from the average artist. There’s many strengths to ‘I’ll Be Fine’, though it seems Jano falls into some traps that the genre presents. Whilst there’s some great ideas being presented by Jano, it seems the musical elements of the album aren’t all that impressive. There’s a few repetitive qualities in a few of the songs, failing to present all that much ingenuity when it comes to the musical elements of the album. The real strength of the album seem to fall to Jano’s natural voice and lyrics, though it seems there’s been a bit of neglect in the musical elements of the album, something that deserves consideration. Even though the album falters at times, ‘I’ll Be Fine’ still comes across as a strong debut effort, and one that highlights remarkable promise from such a young musician. There’s a lot of natural talent, which forms one of the main appealing elements of this album. It’s certainly refreshing to hear such a songwriter put as much thought into his lyrics and the message it presents as Jano does, which makes ‘I’ll Be Fine’ a rather thought-provoking album experience at times. Ethan Jano’s debut album ‘I’ll Be Fine’ is out now. 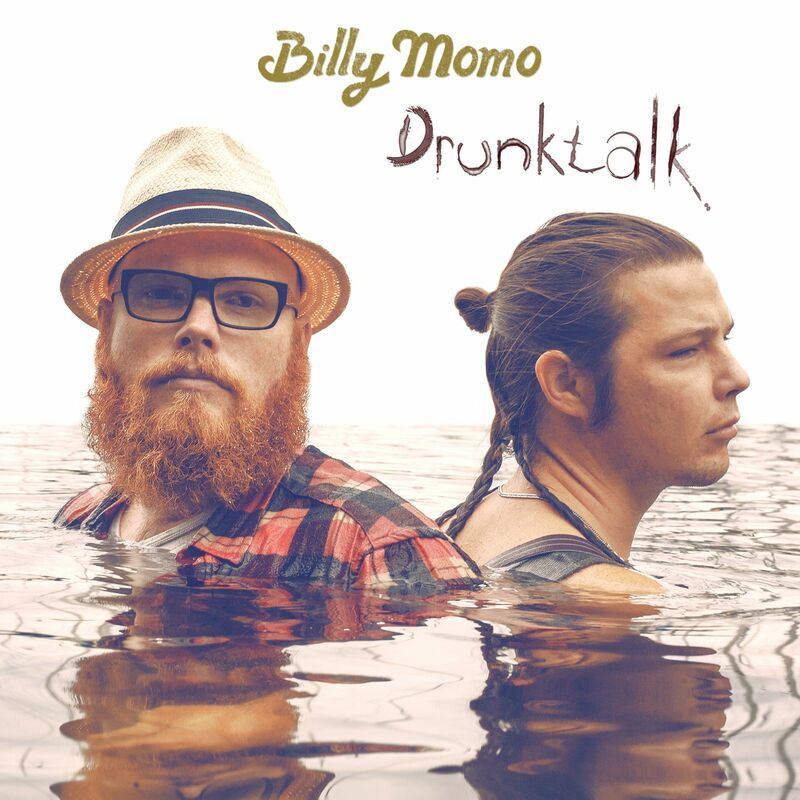 Swedish urban-folk act Billy Momo offer up their sophomore album effort ‘Drunktalk’. The new album sees the band offering up a fun and light-hearted selection of folk/alternative rock tracks, utilizing many strengths of varying genres to good effect. There’s a fun and almost sweet element to ‘Drunktalk’, which seems to showcase the band as really enjoying themselves as they push out their latest album effort. At times, ‘Drunktalk’ seems to fall into arguable elements of mediocrity as the band push out music that doesn’t add much to the album, or showcase much interesting talent, though there’s a fair few enjoyable elements on the album. ‘Drunktalk’ offers up an interesting album experience for the most part. There’s roots of folk music at the core of the album, though the whole experience hardly feels restricted to this genre, and instead allows itself to utilize different elements and ideas to add more to the music itself. There’s some very nice pacing to a few of the songs, showcasing some strong ideas as well as good presentation of these said ideas. Billy Momo present some nice ideas at times on ‘Drunktalk’ that are of very good quality, being as strong as some of the most popular acts currently working in this genre today. There’s some strong elements to ‘Drunktalk’, but they don’t seem to help the album’s negative traits all that much. At times, ‘Drunktalk’ seems to fall back into dull elements that don’t add much to the album, or showcase anything of interest. A significant chunk of the album seems to be filled up with filler material, there only to pace out the album rather than assist and support the album itself. It’s a shame as when Billy Momo present strong material, it really works, but it sadly doesn’t continue throughout the entire album experience, and thus makes the whole album come across as weak for the most part. There’s some good enjoyable elements on ‘Drunktalk’, but it seems not enough has been done to elevate the album over its negative points. Not every track has been cohesively planned out and structured to the same level as some of the album’s strong points, which affects the overall album experience quite a bit. When the album does work, it works well, and showcases some good strong talent from the band, though as a whole album experience, not enough has been done to make this a strong and consistently enjoyable album experience. Billy Momo’s latest album ‘Drunktalk’ is out now.